Get low pricing and great service with your next DOT Physical Exam at our convenient clinic located on West Main Street in Lock Haven, PA. Wise Chiropractic is a family owned and operated chiropractic clinic conveniently located in Downtown Lock Haven, PA. We have been in business for 55 years. Worried About Passing Your DOT Physical Exam? Dr. Wise knows how important it is that you continue your livelihood as a commercial driver. 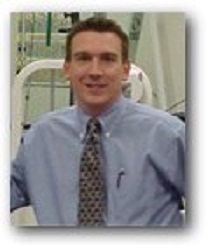 With his extensive knowledge of the DOT Physical exam medical guidelines, Dr. Wise will steer you through the DOT physical exam requirements. We can also help with your concerns for maintaining good driver health. Explore our state of the art chiropractic facility and discover the way to better health. We offer a whole host of solutions to help you get over your current condition and feel better than you have before. Care in our office covers a wide range of issues including neck pain, back pain, sciatica, and repetitive motion injuries. Not sure if your medical condition will affect your driving status? Just give us a call before your appointment. We are here to answer your questions. Whether you are just traveling thru Lock Haven, PA or one of our local drivers, we are here for you! Looking for a DOT physical exam or CDL physical exam in Lock Haven PA? You’ve come to the right place! Drivers: Be better prepared and save time! Fill out your DOT physical exam form before your appointment. You can save even more time by downloading the DOT physical exam report form by clicking the link below. Filling out the form before your appointment will help us get your DOT Physical Exam completed quickly. Want to know more about the DOT physical exam? (Click Here) to access the FMCSA CMV Driver Fact Sheet regarding the DOT physical exam. We are located on Main Street in downtown Lock Haven with convenient access to Route 220. Dr. Wise received his Bachelor of Science in Biology from Villanova University in 1987. He went on to receive his Doctorate of Chiropractic at Pennsylvania College of Chiropractic. Dr. Wise and his wife, Darla, a financial planner, grew up locally and still reside within the community. They have 2 sons, Von II, a senior at Carnegie Mellon, and Luke, a sophomore at Radford University.